One of God’s amazing creations is the Venus fly trap. At first glance, this does not even look like a plant, more like something from the future! 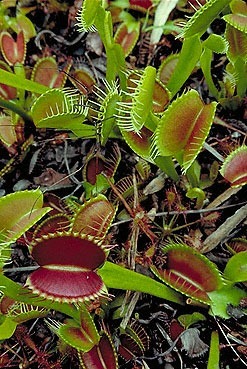 Venus fly traps grow in the wet, boggy parts of Carolina, as well as other parts of America. But what is so amazing about this plant? Well, first, we know that humans have made mouse traps, squirrel traps, bird traps, bear traps etc. However, God has made a plant that is only a few centimetres high, with triggers, and trapdoors, so that the plant can get something to eat! You see, Venus fly traps live in bogs, where there is little nitrogen. The bugs they eat provide them with the nitrogen they need. So God made the Venus fly trap with leaves that have two lobes at the end of the stalks. Then the two lobes have sharp spines at the end. Those lobes lay open, like the pages of a book. On each lobe there are three trigger hairs. This is to save energy, for if a leaf landed on the trigger hair, the Venus fly trap would not snap shut. This is because the two hairs have to be touched within five seconds of each other. 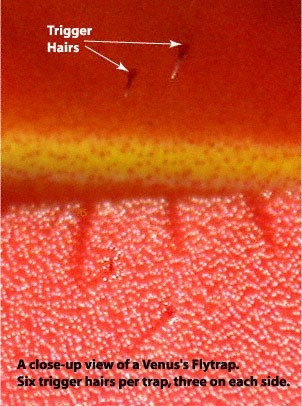 If a fly landed on the red lobes, looking for some sweet nectar, it would touch the hairs twice. Therefore, the trap slams shut. As the spines are alternate, they fit together perfectly. Slowly the Venus fly trap digests all the meaty parts of the fly. When it is done, it opens again for the wind to blow away the fly’s exoskeleton. Now that the Venus fly trap has had breakfast, it waits for another foolish fly to come and get caught. But did you know that you were in a trap? That is, the trap of sin. Like the fly, we had no way of escape, until God sent His Son to come and die on the Cross to save us from our sins. If you accept Jesus as your Saviour, you will be free from the trap of sin. 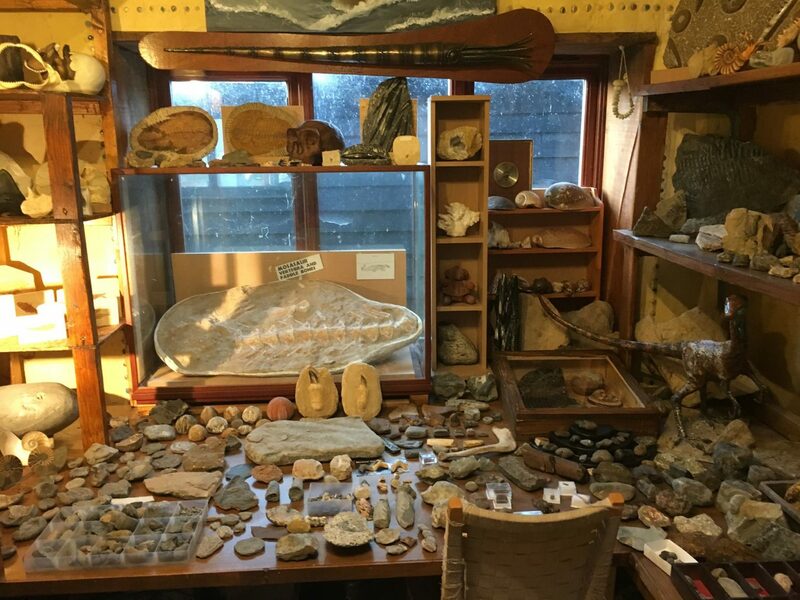 Next Next post: Fossil teddy bear!?! ?